As a consumer interested in hiring professional movers, you have the right and responsibility to protect yourself. Fortunately, there are many experienced, reputable, and trustworthy moving and storage companies. However, there are also companies that constantly look for ways to make money using dishonest methods. With a little bit of education and insight, you will have no problem finding the right movers for your home or office. In particular, there are three ways to separate honest from dishonest movers.  Solid Reputation – To start with, look for professional movers that have a solid reputation of providing excellent services at a competitive rate. In this case, you can conduct research online but also ask friends, family members, neighbors, partners, and others for recommendations. Proper Insurance Coverage – Another way is to verify that professional movers of interest have the appropriate insurance coverage. This is for your protection, as well as theirs. No one anticipates a problem arising but when one does, the right insurance coverage is critical. Not only is this for broken or damaged goods, but possible injuries that occur during the move process. Even if a moving and storage company shows you proof of insurance, take verification a step further by contacting the provider to confirm that the appropriate insurance is in fact in good standing. Certification / Licensing – The third way to ensure that you identify professional movers is by confirming certification / licensing, which for this industry is mandatory. Therefore, if at any time a moving and storage company cannot offer you proof, consider this a huge red flag. 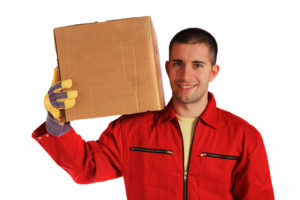 Sadly, dishonest moving companies do a great job of being deceptive. Therefore, you cannot just rely on their word. You need to actually check with the right organizations. For each state, the Department of Transportation is responsible for regulating moving companies. As an example, in the state of Massachusetts, the Massachusetts Department of Public Utilities regulates professional movers. To operate legally, movers are mandated to carry cargo insurance of a minimum amount. They are also required to file a Tariff that clearly outline the rates charged for the various services provided. To easily confirm certification / licensing for professional movers, you can visit the government website for the US Department of Transportation. With a quick search, you will have all of the information that you need for making a well-informed decision.